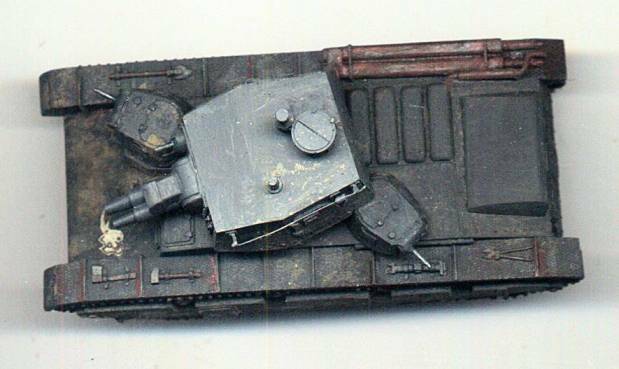 This is an all-resin kit from Modelkrak of Poland and represents the NbFz PzKw VI with Krupp turret. Once again, my weakness for multi-turreted vehicles from the 1930s came to the fore and I just couldn't resist buying this model. Construction was straightforward, with the possible exception of the tracks. These were resin castings in short lengths, and I broke up some of these into individual links to facilitate fitting aound the idlers and sprockets. Unfortunately. 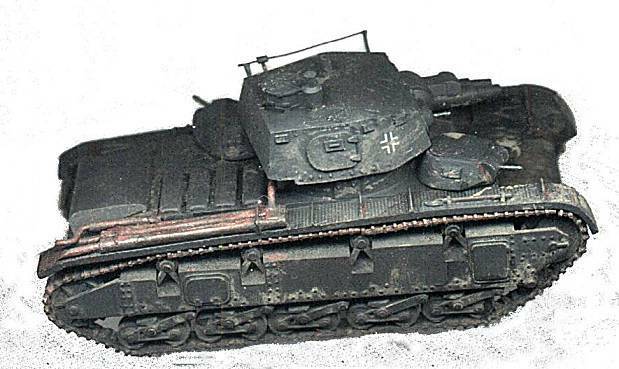 there are no markings supplied with this vehicle, so I had to print my own waterslide transfers for a vehicle with the characteristic elephant's head emblem of Pz. Abt. z. B. v. 40. There were three of the vehicles attached to this unit in Norway, 1940. Am pleased with the final model and recommend this kit as a satisfying build, although at over £22.00 it is expensive for a 1/72 model.